Does Legalizing Cannabis Reduce Drug Abuse? It’s that time of year again. Turkeys the size of small cows, candied yams with that little bit of extra marshmallow on them and pumpkin pies with lashings of whipped cream. Oh, and you can burn off the calories the day afterwards by going on a shopping frenzy, bagging all your Xmas presents during the Black Friday sales. Thanksgiving marks the beginning of a month-and-a-bit of indulgence for many Americans, followed by a couple of months of detoxes, exercise and abstinence (or at least a lot of broken promises). Graph showing lethal dose vs. dependence potential. Alcohol is perhaps the most popular recreational substance worldwide, and is a part of many cultures. Alcohol plays a massive part in many social functions, and its use is generally rather accepted. Alcohol is a social lubricant and, when used in small amounts, generally doesn’t cause too much harm for most people. Addiction to alcohol also usually takes some time to develop – around a few months of daily, heavy drinking. Yet, due to the ease of access and its social acceptability, alcohol is still a heavily-abused drug, and it is estimated that 1 in 12 Americans has an alcohol dependence problem. There are approximately 88,000 deaths per year attributed to excessive alcohol use (and one doesn’t need to be an alcoholic to use too much alcohol). Many hospital beds in the US are also taken up due to alcohol misuse. There are also many people who, after having just one drink, cannot stop drinking. Although all such people are not necessarily alcoholics in the strictest sense (i.e. they don’t drink constantly and on a daily basis), this can lead to binge drinking, which has negative health and social effects all of their own. So, why is alcohol so addictive? 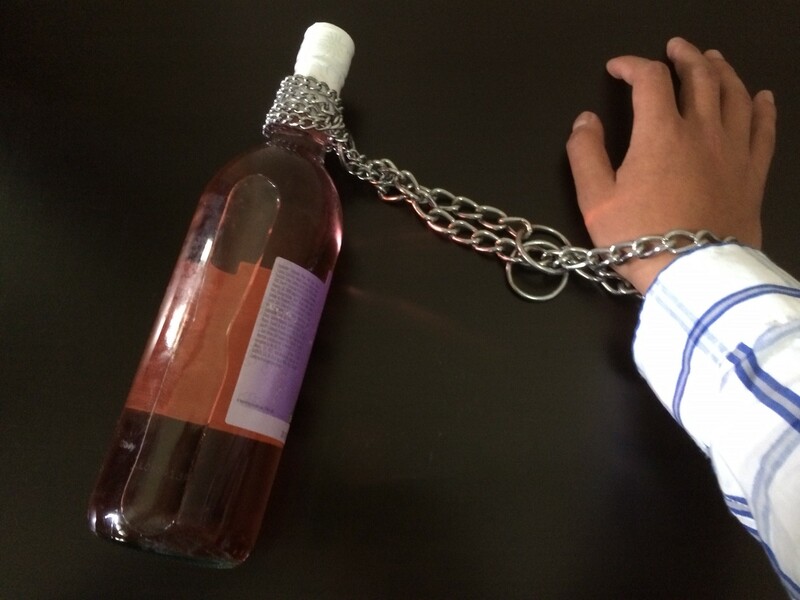 Alcohol increases the release of three neurotransmitters: gamma-aminobutyric acid (GABA), dopamine and endorphins. Over time, alcohol will interfere with the body’s ability to use these neurotransmitters, and will cause a decrease in dopamine production. Suddenly stopping drinking can cause a sudden spike in GABA and dopamine levels, which can cause withdrawal symptoms such as hallucinations, tremors and convulsions. 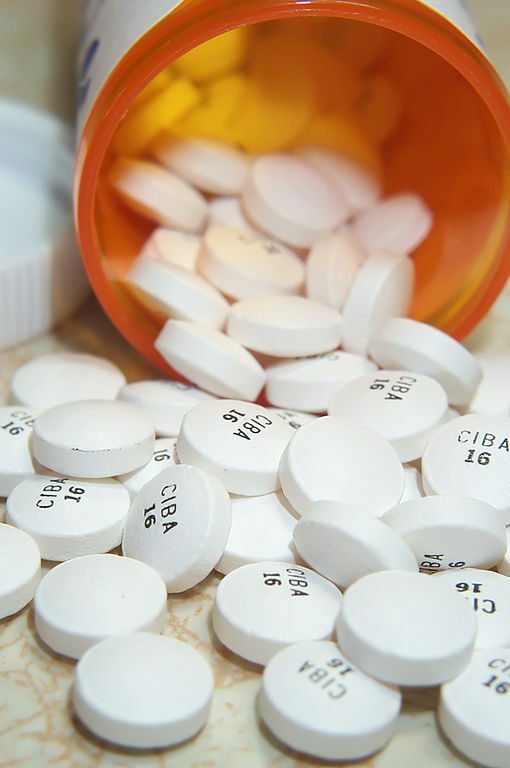 Benzodiazepine and barbiturates work in a similar manner, and there is cross-tolerance between alcohol, benzodiazepines, barbiturates and to a lesser extent opioids. They are all central nervous system (CNS) depressants, and using any of them in combination with another will act in synergy and increase the chances of overdose. So, does legalizing cannabis reduce alcohol usage? Frankly, there is no definite evidence either way. Some brands saw a drop in sales after legalization, whilst in some places alcohol sales actually increased. Holland, which has had legal cannabis for many years now, has one of the lowest cannabis usage rates in Europe, but the Dutch love for beer has not abated. This suggests that alcohol is an integral part of life for many people and cultures, and this attitude is firmly embedded in the psyche of many. Cannabis won’t necessarily decrease alcohol usage in total, although it might help an individual decrease their alcohol usage or feel they might not want to use alcohol due to having cannabis on hand. Yet, in the US at least, the implementation of medical marijuana laws has lead to a decrease in overall alcohol sales. It seems that, in some places at least, the bong beats the bottle. However, just because cannabis doesn’t necessarily reduce alcohol consumption everywhere it’s legalized (social attitudes are different in different places, intriguingly enough), doesn’t mean that it cannot be used as a treatment for alcohol addiction. Cannabis shares many similarities to hops (which are used to make beer), and due to this produces plenty of the terpenoid myrcene. Myrcene’s effects are sedative in nature and have analgesic effects, making it a potential substitute for alcohol. High amounts of limonene also increases the duration of sleep, and may improve the quality of sleep to some extent. Cannabis also contains another terpene that could be of immense use for the treatment of alcoholism: the cannabinoid receptor 2 (CB2) agonist, beta-caryophyllene. Studies on mice have suggested that CB2 receptors play a major role in alcohol reward, and that stimulation of the CB2 receptors with beta-caryophyllene reduced voluntary alcohol intake. Myrcene, beta-caryophyllene and limonene also work in conjunction with THC and CBD, helping them “bridge” across the blood-brain barrier, as well as attenuating their effects when in different concentrations. So, whilst cannabis legalization doesn’t necessarily cause a decrease in alcohol usage (though the jury’s still out on this one, and the evidence is promising that it does to some extent), it doesn’t mean it can’t be used as a substitute for alcohol should a person have a willingness to do so. Cannabis may also act as a “safety crutch”, allowing people to get inebriated in a far safer, more controllable manner. This is important as, for many with an alcohol dependence, the social aspect of inebriation is one of the most difficult aspects to deal with. States that have medical marijuana programs see a reduction in opioid analgesic overdose. The paper by Yu-Wei Luke Chu, “Do Medical Marijuana Laws Increase Hard Drug Use?” shows a decrease in heroin treatments after cannabis legalization. The effect of legalization on opioid overdoses has lead many to think of cannabis as a substitute to other drugs, and thereby a very useful harm reduction treatment. So, why does cannabis lead to a reduction in opioid addiction? One of the arguments is that legalizing cannabis means less contact with drug dealers intent on pushing more addictive substances onto their clientele. Another argument is that legalizing cannabis takes away from the “dangerous” or “rebellious” image associated with it, on top of demystifying it. Cannabis therefore becomes more “normalized”, and it’s no longer seen as a radical thing to do. The sexiness is taken away. Now, whilst there is some merit to the above arguments, they don’t mention one important thing: the biology behind addiction. Opioids are extremely addictive, physically speaking. Opioids target the brain’s reward system by flooding receptors with dopamine. Over time, the body will stop producing its own endorphins (the body’s own natural painkilling opioids, which opioids mimic). This leads to physical addiction and withdrawal symptoms if use is suddenly stopped. Cannabis affects mu-opioid receptors in a similar way to opioids, in particular the cannabinoid THC, with the difference being that cannabis is nowhere near as addictive for most people, and definitely not as dangerous. This lends credence to the idea of using cannabis as a substitute or replacement for opioids when it comes to mid- to- long- term pain control. When it comes to managing chronic pain, medical marijuana could well be preferable to opioids, and many people in pain just might not feel like using opioids anymore. Remember: many people don’t necessarily enjoy opioids – the side-effects include not only addiction, but constant drowziness/tiredness/sleepiness, rashes, appetite suppression, cold sweats and suddenly waking up in the middle of the night. However, due to the addiction (and yes, the initial pleasurable effects), many can’t seem to stop taking opioids. Yet the side-effects of opioid use/abuse are strong enough for those that, with the option of using cannabis, tend to take it. Cannabis also has a “multi-pronged” painkilling effect. Many of the terpenoids and cannabinoids found within the plant (e.g. CBD, pinene) have anti-inflammatory effects, whilst the THC can act as a sort of “pain distractor”. Cannabis also affects serotonin receptors, potentially helping beat the depression that so often accompanies being in constant pain. Taking the science into account, it is entirely reasonable to think of cannabis as a substitute for opioids. It’s also reasonable to think that the main gateway to opioids isn’t cannabis, but prescription opioids used to manage pain following an accident or surgery. So, what about the supposes correlation between cannabis use and opioid use? Well, first of all, correlation doesn’t mean causation. Just because a person uses opioids and uses cannabis, it doesn’t mean that their cannabis use lead to opioid or hard drug use. As cannabis would have no doubt been in the same environment as many other substances, legal or not, it perhaps shouldn’t be a surprise that it’s found in places where other scheduled substances exist. Were we to be honest and treat all drugs as potential gateways, then alcohol and tobacco are prime suspects. Pre-existing interest in recreational substances combined with willingness to try drugs seems to be more of a cause of addiction, than cannabis in and of itself. Another factor could be a family history of drug abuse and/or alcoholism. Overall, and on the balance of current available evidence, it seems that cannabis is the opposite of a gateway to opioids and opiates, at least for most people. In some sense, cannabis could be used as a method of opioid avoidance or opioid prevention, and there is definitely some argument that cannabis could be an exit drug. 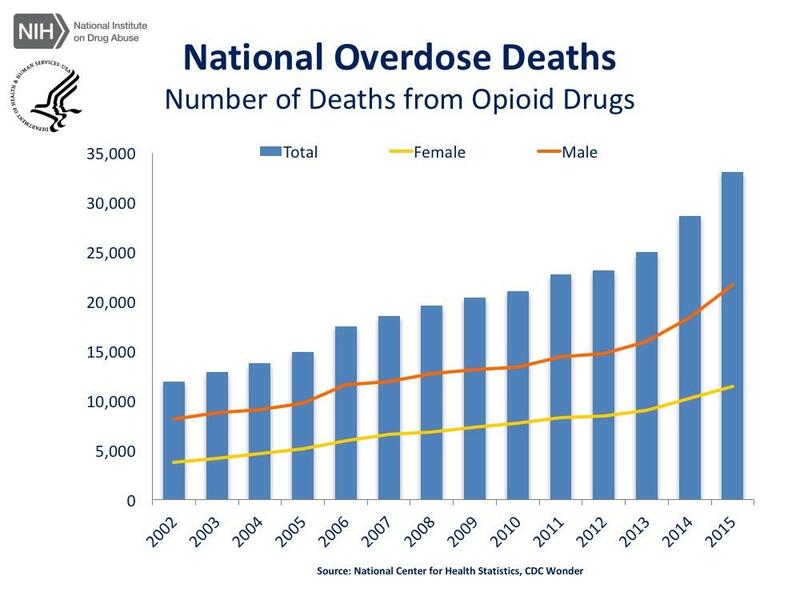 Numbers of deaths from opioid overdose. Though both cocaine and amphetamine have broadly similar effects (euphoria, increased energy, wakefulness), they do have some major differences. Both drugs have an effect on dopamine, serotonin and norepinephrine production, but there are key differences in how they do so. Cocaine binds strongly to dopamine transporters, meaning that it cannot perform dopamine reuptake. This causes an accumulation of dopamine at the synaptic cleft. Amphetamines, meanwhile, promote the release of dopamine, serotonin and norepinephrine and allow them to pass through the synaptic cleft more easily. We have already referenced Luke Chu’s study above, looking at the rate of cocaine usage after cannabis legalization. Whilst there is a reduction in opioid use, there doesn’t seem to be a corresponding reduction in cocaine abuse. As for amphetamines, there are no figures given (unless we’re missing something), so nothing can be stated for definite either way. However, if we take Portugal as an example, decriminalization of drugs seems to have reduced drug use. So, whilst legalizing/decriminalizing cannabis may bring down hard drug use in general, this doesn’t necessarily translate to a reduction in the use of all drugs when we look at them on an individual basis. This means that, whilst legalizing cannabis might bring down opioid use, it doesn’t necessarily bring down alcohol or stimulant use (as we can see above). There are a couple of good explanations for this. One is that, as cannabis use is quite common in some areas, legalizing it won’t necessarily have an impact on other drugs as cannabis users aren’t seeking to use stimulants. This means that cannabis legalization will likely have a neutral effect on the proportions of people using other drugs. The other explanation is crucial – people seek different effects for different times and different purposes. A person might be seeking opioids because they’re in pain, and so will find no problem in substituting opioids for cannabis if it does an equally good or better job. A person seeking stimulants, on the other hand, is likely looking to stay up, keep concentration and, yes, party hearty. Using cannabis instead would not likely occur to them. Like with alcohol, cannabis doesn’t necessarily reduce use of stimulants, but it may help with treating stimulant addiction. The theory behind this is that components of the endocannabinoid system (ECS) are involved in drug-seeking behaviors, including with stimulants. Some people who used both stimulants and cannabis found that their cravings for stimulants increased after using cannabis, whilst others found that using cannabis helped keep withdrawal symptoms and cravings at bay. So, why could cannabis be used to treat stimulant addiction? Well, the jury’s out on this one, but it could be because cannabis reduces stress-induced blood oxygen-level dependent (BOLD) signals in the frontal and cingulate cortices of cocaine-dependent individuals. Another reason could be that cannabis stimulates dopamine, serotonin and norepinephrine receptors, and again provides a substitute for stimulants. Terpenes like limonene and pinene may also promote wakefulness, thereby providing a stimulating effect that would otherwise be filled by stimulant use. Crack-cocaine addicts in Brazil have reported using cannabis to reduce craving. Ritalin, which is usually used for ADD/ADHD.